Lieutenant Colonel Terrence ("Terry") Lakin served as Chief of Primary Care and Flight Surgeon for the Pentagon's DiLorenzo TRICARE Health Clinic. He was the lead Flight Surgeon charged with caring for Army Chief of Staff General Casey's pilots and air crew. 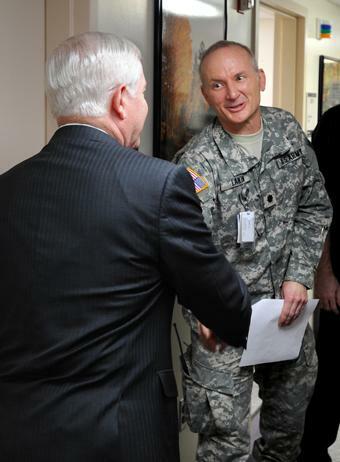 LTC Lakin, was selected for promotion to Colonel, is a native of Colorado, whose residency is Tennessee. LTC Lakin's numerous awards and decorations include the Army Flight Surgeon Badge, Combat Medical Badge, the Bronze Star Medal, the Meritorious Service Medal, the Army Commendation Medal with two Oak Leaf Clusters, the Army Achievement Medal with one Oak Leaf Clusters, the National Defense Service Medal with Bronze Service Star, the Armed Forces Expedition Medal, the Army Reserve Component Achievement Medal, the Army Service Ribbon, the Overseas Service Ribbon sixth award and the NATO service medal. He has served previously in Honduras, Bosnia, Korea, and Afghanistan. 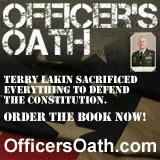 Since 2008, LTC Lakin has asked through his chain of command and his Congressional delegation for proof that President Obama is Constitutionally eligible to serve as his Commander-in-Chief. He has explained to his superiors that he cannot understand how his Oath of Office to protect and defend the Constitution does not allow military officers to pursue this proof of eligibility. LTC Lakin received military orders in late February for deployment to Afghanistan, including a requirement that he provide "copies of his birth certificate." LTC Lakin is prepared to provide a certified copy of his certification of vital record that lists his birth hospital, physician's name and other key information. He has provided this document for many other required processes, such as his commissioning into the military as an officer, his security clearance and his marriage license. He is the highest ranking active duty officer to go public over this controversy and the first active duty officer to do so.